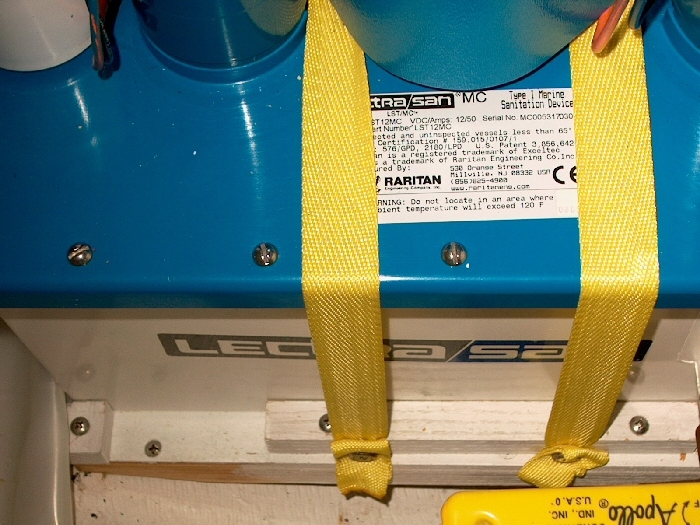 An image of the LectraSan type I Marine Sanitation Device that we installed on the boat is provided below. I will update the page narrative and include several additional photos of the installation later this year. The unit is installed in the starboard forward underseat compartment (just aft of the head). There is a short run of OdorSafe hose from the head to the LectraSan and then a very short run of hose to a dedicated thru-hull adjacent to the unit.